To call Colin Kaepernick “arrogant” sounds much too close to “uppity” for comfort. There is perhaps no liberal in the land held in higher esteem than Supreme Court Justice Ruth Bader Ginsburg. “The Notorious RBG,” as she is known, is the first Supreme Court justice to have not merely admirers but actual fans. Whether or not one believes she has earned this iconic status really depends on whether you think SCOTUS decisions are the result of the sage judicial reasoning of the nine—or eight—individuals in black robes or a political reflection of social movements and shifts in public opinion. There is a great deal to unpack here. First, I am less struck by the words “dumb,” “stupid,” and “arrogant” than by the words she does not say: “police,” “racism,” “injustice,” or “death.” There is no reckoning with the reason why so many people feel driven to kneel in protest and raise their fist in the name of black lives. It’s as if she doesn’t take this seriously; as if Colin Kaepernick is taking a knee because he’s a bud of Ashton Kutcher and this is all just an elaborate reboot of Punk’d. I also find it disturbing that she would even broach the idea of arresting people for taking a knee, even if to say that she wouldn’t be for it, as if that should in any way be a legitimate part of this discussion. These comments reveal a gap between the Notorious RBG’s reputation and the views of the actual human being beneath the robe. If there is one word to sum it up, it would be the term she uses to describe Kaepernick: arrogant. It is arrogant for a Supreme Court justice to make no mention of the ways in which the American legal system has failed black Americans, especially the families of those whose loved ones have been killed by a police officer’s bullets. Whether you love or hate the San Francisco 49ers quarterback, his political principles and actions are anything but arrogant. He has enough money and fame to live in a bubble that could reflect his most bacchanalian dreams. Instead, he is risking his precarious place in the sports world by choosing this moment in his career to stand up. That’s not arrogance. It’s conviction. To even call Kaepernick “arrogant” sounds much too close to “uppity” for comfort. She is entitled to her opinion, but this isn’t a court of law. 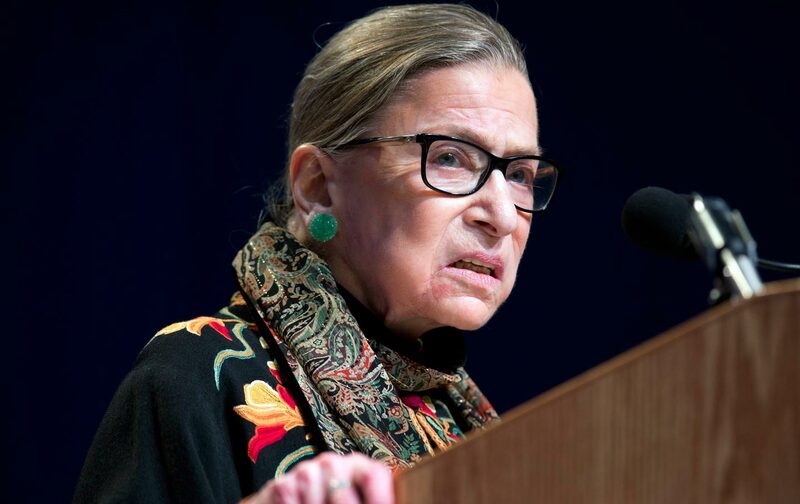 Any liberals who feel squeamish about criticizing Bader Ginsburg for her comments should straighten their spines and stand resolutely against her views. If we want to see justice in this country, it won’t be the last time we will have to stand up to the Supreme Court, no matter who is on the bench.